Since watches have lost their charm in modern era due to cell phones to check the time but one can't deny the importance of wearing wristwatches. Trend of wearing wristwatches will never die because a watch man wears not just reflects his status but also man can't complete his look without wearing a wristwatch. I've discovered a luxury Swiss watches brand Daneil wellington lately and fallen in love with the all classic designs of watches. Watches are still considered an ornament to show the status and to look elegant. An amazing range of watches are suitable for any occasion for ladies and gents and huge range of variety is available to choose from. 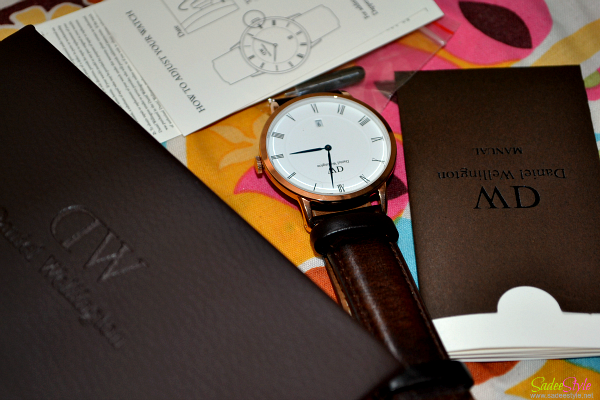 Here is my dapper bristol wristwatch by Daniel wellington came in a super luxury packaging. A watch came in an exceptional presentation leather box including an instruction manual and 2 years warranty card. The box also has a pin inside, which can be used to change the straps. An amazing dapper bristol watch is super thin and a 38mm wide in size. A unique roman numerals design with date display feature. Probably a first deniel wellington watch which comes with date display feature. I love a wide eggshell white dial with super glossy finished look. It amazingly made with genuine Italian leather and can be customized with both shades silver and rose gold. I customized it with rose gold frame which makes it slender and sophisticated watch with a high end look. Daniel wellington introduced the deep blue watch hands those compliments with a wide white dial. A great and most inspiring thing about these watches are these are come with interchangeable straps so you can personalize your watch in your own style and don't get bored wearing the same style watch every time. 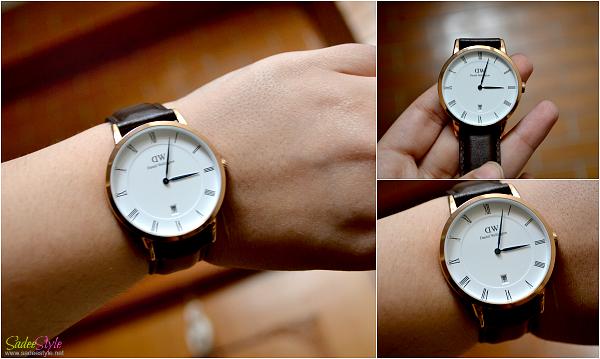 I adore and liked the genuine leather strap. An Italian strap available in black and brown color with rose gold and silver plated brace. 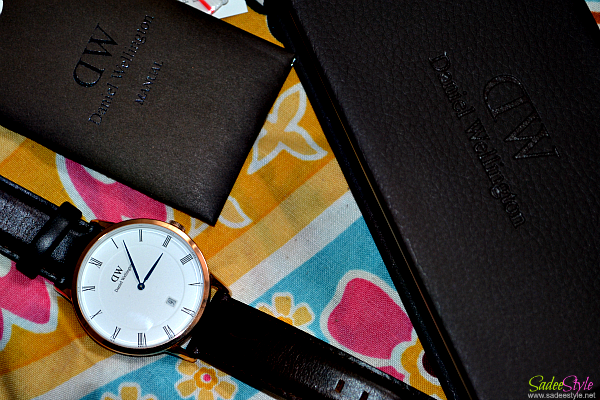 Dapper bristol rose gold daniel wellington is one in beauty and versatility and very well made really value priced. I have received numerous compliments when I wear it. Don't forget to add the code (SADEESTYLE) while ordering to get 15% off all products at www.danielwellington.com which expires until February 29, 2016. DW waches are best to invest and trust. Get yours at @danielwellington · #danielwellington. I invite YOU to join the giveaway on my blog!